I have been working the Local SEO for all my website builds, and my own, using the YOAST plugins. Better than 90% of the sites I have built are on the first page for the keyword phrases organically. It is for that purpose that I reached out to YOAST and asked for permission to repost articles on Local SEO. They gave me permission. The following article is the first that I am reposting from YOAST. Since I have begun working as a Small Business Partner with YEXT and Review Management & Generation are an integral part of my work with small businesses I felt this article would be a perfect start.I hope you find it as valuable as I did. This is the sixth post in an 8-part series on how to rank your business for local searches at Google. Previously, I’ve listed the most important aspects that influence your local ranking, discussed how to get the most out of Google My Business, covered best practices for on-site optimization. I’ve also given you some ideas for building inbound links and how to build citations. Here, I’ll focus on another core local search ranking factor: generating reviews about your business. Learn why and how to do that! Although they weren’t part of the initial release of Google Maps, reviews have been a fixture on Google’s local properties for over a decade. The reason is obvious: frankly, consumers love reviews. BrightLocal consumer survey data suggests that over 90% of consumers use reviews to evaluate local businesses. 84% of them trust reviews just as much as a personal recommendation! So it’s no wonder that Google features them so prominently. It stands to reason that if consumers love reviews so much, Google’s ranking algorithm does too. Businesses with robust review profiles on Google – and beyond – tend to be rewarded with higher rankings. Reviews create a virtuous cycle. More reviews lead to better visibility, which leads to more customers, which result in more reviews. Quite simply, gathering and encouraging customer reviews is one of the most sustainable marketing techniques your business can engage in. Only Google engineers know for sure, but local search experts have theorized for years that Google primarily evaluates reviews across the attributes below. I’ve listed them in order of importance for competitive searches, according to the experts surveyed for the Local Search Ranking Factors project. Google designed its entire local algorithm to represent the offline world online in the most accurate way possible. In Google’s ideal world, popular businesses rank near the top of search results. Less popular businesses rank further down. Reviews are one of the easiest ways for Google to assess popularity. All other factors being equal, popular businesses tend to serve more customers than less popular ones. But remember as I said earlier in this series, Google can only “see” what’s represented online. So if your customers leave reviews of your business at a higher rate than your competitors’ customers do, your business will appear more popular and stands a good chance at outranking the competition. The area in which Google’s algorithm has arguably improved the most over the past 3-4 years is in semantic analysis. In fact, one of the earliest data sets on which Google trained its semantic algorithm was local business reviews. As early as 2009, Google highlighted key terms and phrases that it found consumers using to describe local businesses. So not only is Google looking at the number of reviews when assessing the popularity of local businesses, it’s looking at what people are saying about local businesses in those reviews. For example, doctors whose patients frequently mention a particular kind of treatment in their reviews are likely to rank better for searches for that treatment. Contractors whose customers mention the kind of projects they execute, such as “kitchen remodel,” are likely to rank better for searches for those kinds of projects. The content of your customers’ reviews isn’t necessarily something you can control. But prompting your customers to think about particular questions as they write their review (“What service did we perform for you?” e.g.) can help improve the effectiveness of those reviews with respect to your rankings. A common misconception – compounded by misleading testimony from Google executives – is that Google does not use third-party reviews to rank local results. This could not be further from the truth. In some cases, reviews on third-party sites can improve your rankings even more than comparable reviews left directly at Google. You may be surprised to see star ratings listed this low as a ranking factor. Generally speaking, Google’s algorithm seems to value volume and sentiment much more strongly than the star rating that customers leave for a business. With nearly 80% of reviews being three stars or above (even on Yelp! ), it’s not particularly useful for Google to split hairs between a 4.2 and a 4.4-star business, for example. Where rating may play a larger role is in consumer choice. According to BrightLocal, a majority of consumers see the rating as the most important review factor in choosing a business. Google’s review spam filter leaves much to be desired. There is, however, some evidence to suggest that the account of the reviewer may have some positive influence on how much weight his or her review carries. In much the same way that Yelp Elite (essentially, highly-active Yelpers) reviews carry extra weight in Yelp’s algorithm, it’s likely that reviews from members of the Local Guides Program carry extra weight in Google’s. The velocity or frequency with which customers leave reviews may also impact a business’s rankings. The BrightLocal survey referenced above found that 73% of consumers think that reviews older than three months are no longer relevant. While Google’s “review expiration date” is considerably longer than three months, especially in less-frequently-reviewed industries like DUI law or addiction treatment, it’s likely that business with a steady stream of new reviews will outrank those with a stale review profile. As I touched on in the Diversity section above, you don’t want to focus your review acquisition efforts solely on Google. In fact, reviews on prominent sites like Yelp have been proven to single-handedly increase rankings for businesses in smaller markets with limited competition. See this empirical study by Mike Blumenthal showing the impact of Yelp reviews on dive bar rankings in Mike’s hometown of Olean, NY. Just as with citations, you want to have reviews on the sites where Google expects popular businesses to have reviews. The only difference between the sites where you should acquire citations vs. the sites where you should acquire reviews is that data aggregators don’t offer reviews as a feature. It nearly goes without saying that you should do your best to acquire customer reviews on Facebook and Yelp. These two platforms are used to research local businesses by tens of millions of consumers every month. Yelp syndicates its reviews to Apple Maps. This way, even more consumers will read them. And of course, Facebook is Facebook. It’s the app in which we spend one out of every 5 of our mobile minutes. Beyond these two giants, you should look at the sites that show up in Knowledge Panels for your competitors. Also look at other high-ranking businesses similar to yours in other geographic markets. Sites like the ones listed in the ‘Reviews from the web’ sections of Knowledge Panels likely have direct relationships with Google to feed them reviews. Note the review sites that appear in the top 20 (or so) organic results. Pay close attention to the ones with gold stars in the organic results. In a limited set of categories related to dining and nightlife, Google also displays Critic reviews from well-known editorial sites in those categories. It’s likely that businesses reviewed by these lists have an advantage over businesses that don’t appear here. I expect we’ll see Google rolling out Critic reviews to more categories in the future. I can’t emphasize this point enough: implementing an intentional review acquisition process has become an essential element of success in local search. Knowing the importance of customer reviews, you might be tempted to blast all of your customers at once, asking them to leave reviews. Or worse, you might be considering simply buying your way to the top with a bunch of fake reviews from Fiverr or similar sites. These techniques will likely lead to success in the short-term but also lead to dramatic pain in the long-term. Google and other review platforms get better about cracking down on this kind of behavior. This is fairly trivial to spot algorithmically. Instead, a steady drip of reviews is what will lead to sustained long-term success. Depending on your industry, this could be a handful per month or a handful per week. There are plenty of affordable software companies that can help you implement this intentional review acquisition process. I recommend GetFiveStars, run by a team of local search experts, but do a little research and see which service is right for your business. The diagram below, used by permission of GetFiveStars, shows how their platform works (and other similar platforms work). In a nutshell, review services automate the process of collecting feedback from your customers and prompt happy customers to leave reviews on third-party review sites. Importantly, they can also help you determine your Net Promoter Score, and identify areas for improvement within your business. Far beyond the ranking benefits that a stream of positive reviews can have, review services can help you get out in front of bad reviews with a controlled feedback mechanism. They enable you to capture complaints and act on them before they spread around the internet. My opinion is that it’s well worth the (minimal) risk to ask for reviews on Yelp, though, if you’re able to identify prospective customers who already have a Yelp account, and provided you’re emailing customers individually, one at a time, instead of a mass solicitation. 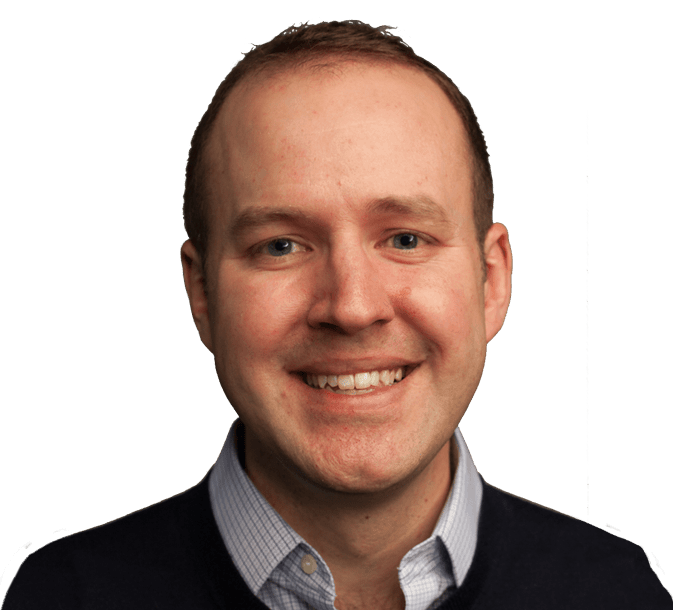 Check out this excellent post by Phil Rozek on how to pre-identify potential Yelp reviewers for your business. You can also do a little research on Facebook using the Intelligence Software toolI’ve mentioned in previous installments in this series. Just select Like and enter the name of your business, and add another line for Likers of Yelp. Voila, you have a list of fans of your business who are also likely to be active on Yelp. Letting them know how much a Yelp review can help your business increases the chances they’ll leave that elusive Yelp review. Under no circumstances should you offer an incentive to leave a review on Yelp (or any other platform, for that matter). This is a violation that will get you blacklisted. If the incentive is not disclosed, it may violate United States FTC guidelines or similar laws in other countries. As Mike Blumenthal of GetFiveStars likes to say: “There are two kinds of businesses in the world. Businesses that have gotten a bad review, and businesses that will get a bad review at some point.” No matter how great your business is, it’s bound to happen. Many sites, including Google and Yelp, allow for you to respond to that bad review as the business owner. The important thing to keep in mind is that the real audience for that response is not this particular customer, but the dozens or hundreds of prospective customers who read your response and evaluate your empathy for the reviewer and attempt to resolve the complaint. See this excellent guide on responding to complaints for more best practices for review responses. Another benefit of subscribing to a review acquisition service is that many of these services include an embeddable testimonials widget as part of your subscription. This gives you compelling, keyword-rich content that can improve your website’s position in organic search results. It also provides social proof to prospective customers who visit your website. Even if you don’t subscribe to a review acquisition service, you can replicate this process by copying-and-pasting snippets from some of your favorite customer reviews onto your website. Make sure you get the permission of the person who left the review before doing so. This will give you a complete list of filtered reviews, which no search engine has indexed. Many times the customers who left them are incredibly frustrated that Yelp has hidden their comments. They are more than happy to give you permission to promote their comments in full on your website. As I brought up in my last column, words may be becoming the new links. This trend portends even more ranking power for reviews. The reality is that reviews are a far more democratic ranking signal than inbound links or even citations. They more accurately reflect the popularity of a business than either of these prominent local ranking factors. Half of the consumers who’ve been asked by a local business for a review have left one. This is an exponentially higher fraction than the number of consumers who operate websites, let alone have given a local business a link from those websites! While Google still clearly has a long road ahead of it in fighting review spam, its team of Ph.D.’s will surely shut down the most egregious spammers within the next couple of years. And as long as consumers continue to make decisions at least partially based on reviews, they’ll be a fixture in local search results (and rankings) for years to come. 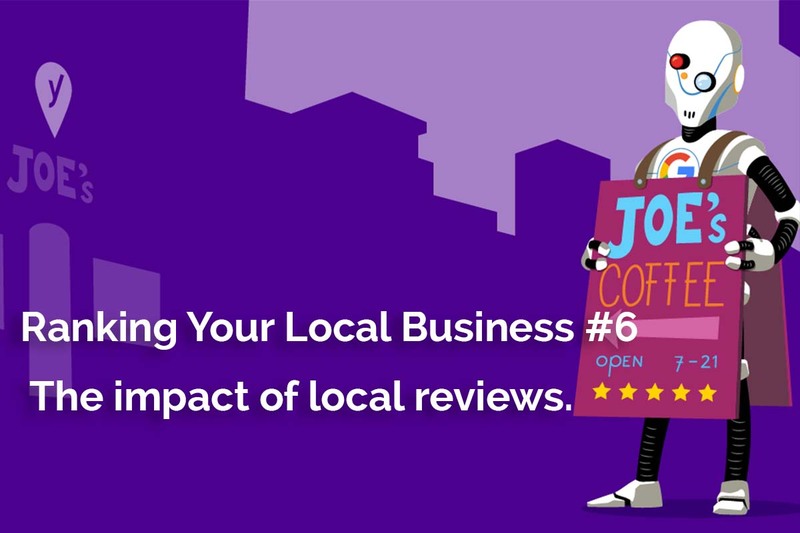 The volume of reviews for a local business, and the content included in those reviews, are two of the most important local ranking factors. Reviews on Google are important, but local businesses should get reviews on other prominent sites as well. Facebook and Yelp are important regardless of your business category or location. Also, seek out key industry and local sites that show up in the Knowledge Panels of your competitors. Review acquisition services are a great way to automate your review process and make it sustainable. They can help you get out in front of complaints before they spread across the Internet, and improve your Net Promoter Score. Research existing friends and fans who use Yelp to minimize the risk that their reviews will be filtered. Extend the power of reviews by posting them on your site as testimonials, with permission from the reviewer. Digital Presence Management Service enables you to take control of your online brand across 100+ digital services. GET STARTED TODAY TO GET FOUND LOCALLY ONLINE! Give us a call today and we will work closely with you to have you GET FOUND LOCALLY ONLINE! Your small business deserves the ability to have an audience that translates into sales of your services and products. Our team will work relentlessly to achieve goals that will surpass your expectations. That is our promise to you. So just reach out and call, the rest will evolve as we move forward. Thank you!